Ok, you’ve just finished cleaning out your junked up garage. Everything from old paint cans and worn-out appliances to grandma’s broken down rocking chair are piled high ready to be tossed in the trash heap. Question is, what do you do with it? Well, if you’re looking for the most convenient location to take your clutter…and I think you are…then nothing beats Tulsa Recycle and Transfer. We are the ONLY licensed transfer station in Tulsa where you can bring anything you need to toss and dispose of. We’re talking any type of municipal waste, construction demolition material and even recyclables…including aluminum, plastics, cardboard, paper, and even glass. Nobody beats our dump location for convenience. We’re located at 1150 North Peoria in Tulsa with easy access for folks to come by and alleviate them selves of years of stored up junk or old forgotten “treasures.” Just a short jaunt on Hwy 75 and you’re there, reeling in the recyclables. Hours for drop off are 7 am to 5 pm Monday through Friday and 7 am to 3 pm on Saturdays. Come by for a visit and see why…nobody does recycling and waste better than TRT. 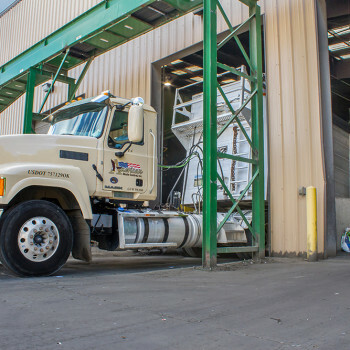 Founded in 1987, Tulsa Indoor Dump is Oklahoma’s leading transfer station when it comes to diverting and recovering reusable resources through recycling. We strive to lower Greenhouse Gases, provide cleaner air and generate cleaner energy, all while making recycling easier and more accessible to Green Country.